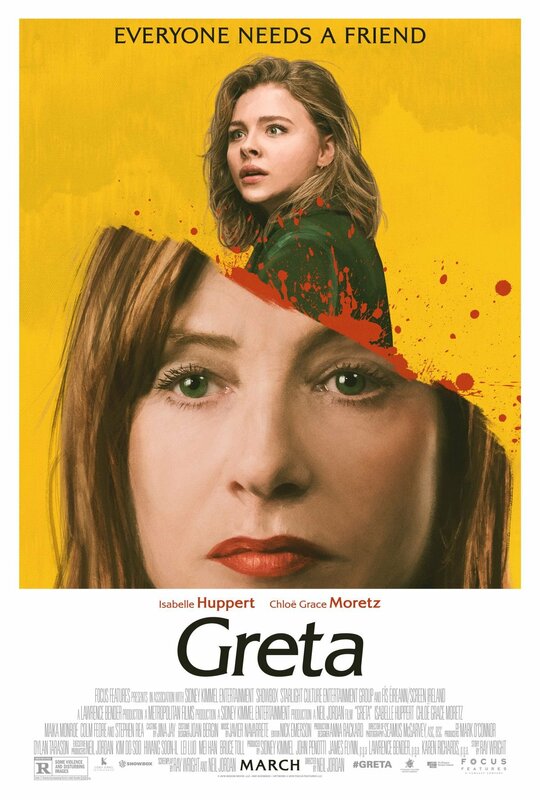 Focus Features has released the official trailer and teaser art for their upcoming suspense thriller Greta, starring Chloë Grace Moretz (Suspiria, Let Me In) and Oscar nominee Isabelle Huppert (Elle). Check out the trailer below, as well as the teaser art and new photos in the gallery! From Academy Award-winning director Neil Jordan (The Crying Game) and writer Ray Wright (The Crazies), Greta also stars Maika Monroe (It Follows), Colm Feore (House of Cards), and Karen Richards. Sidney Kimmel, John Penotti, James Flynn, Lawrence Bender, and Karen Richards serve as producers on the project. Greta will arrive in theaters on March 1, 2019.